How do you look after the minds of our young people? ​Working in the garden is a great way to introduce young people to talking with one another whilst understanding the principles of work, interaction, cooperation, conflict friendship and goals. All are important to maintaining balance in Emotional & Mental Wellness. I've teamed up with my brother Colin due to his passion for gardening and horticulture. His dedication to 'getting the family out gardening' has resulted in this really enjoyable and fun programme. 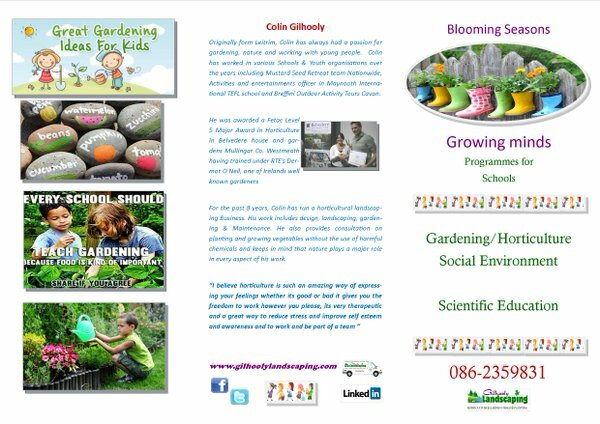 Having been launched in Spring 2016 it has showed great success not only in schools but also in community events.